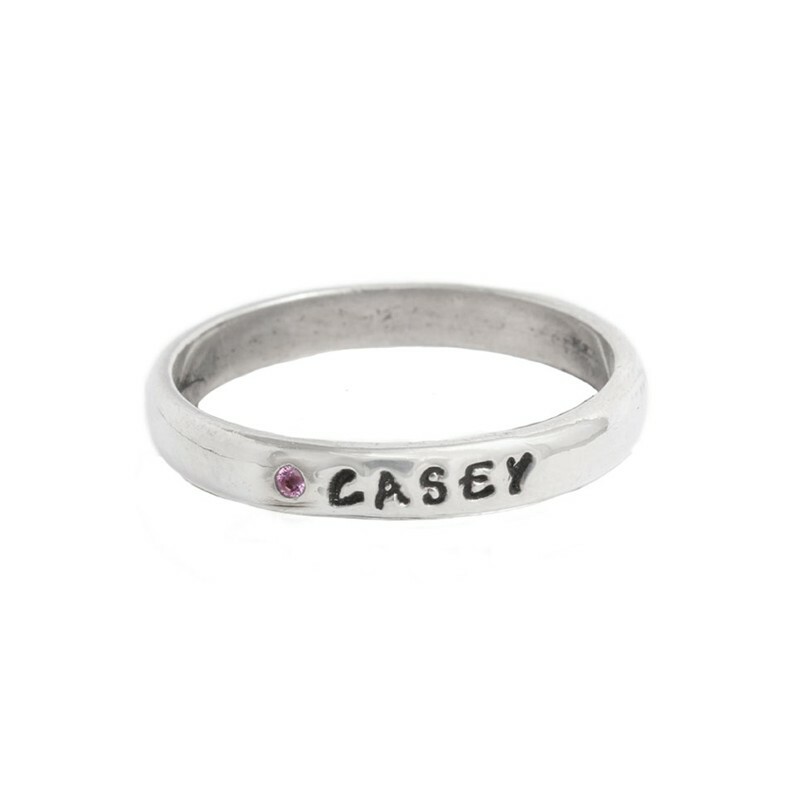 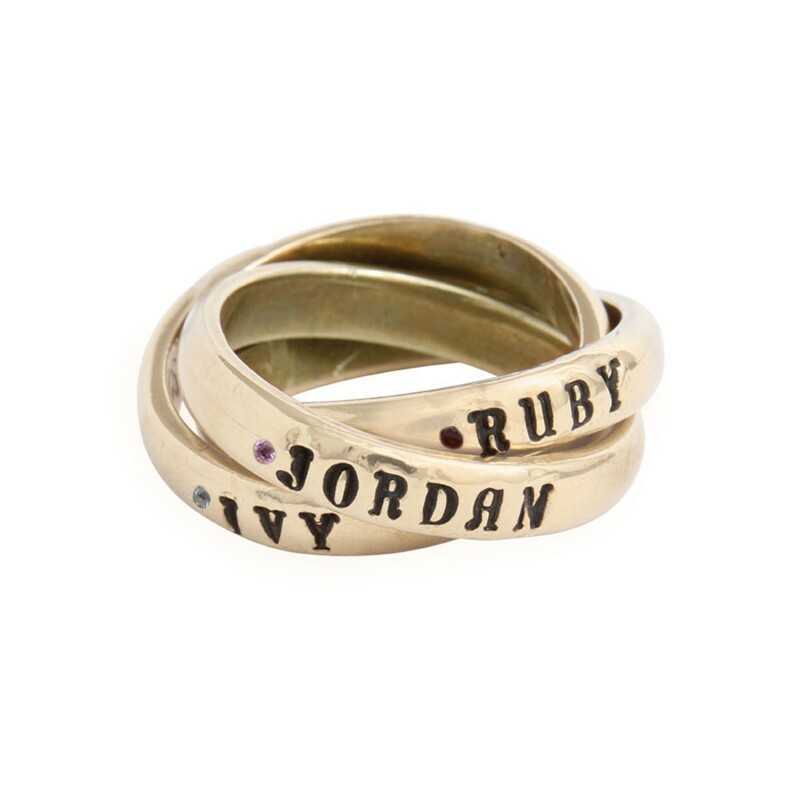 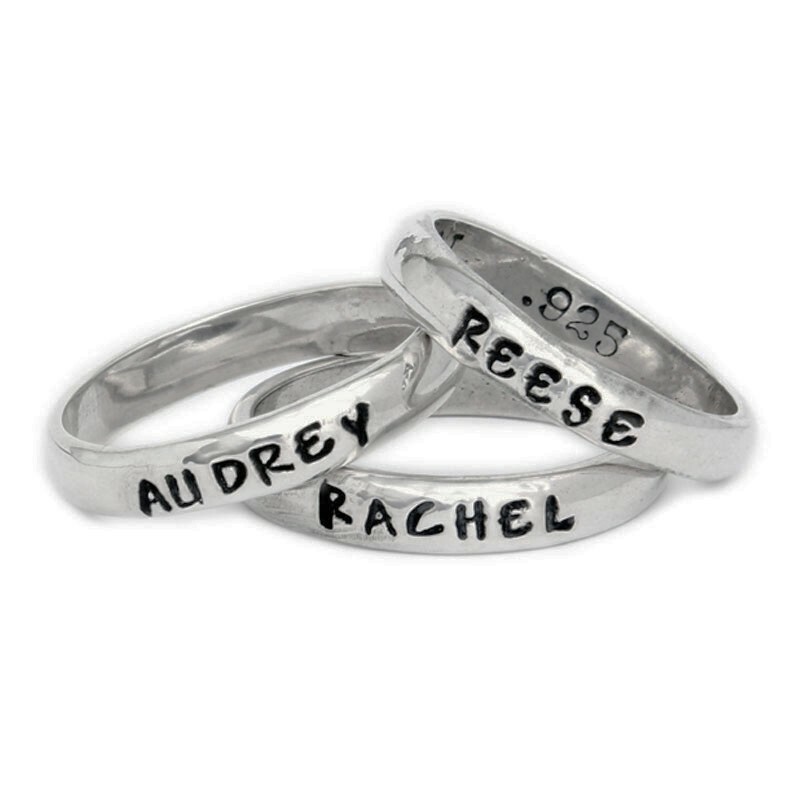 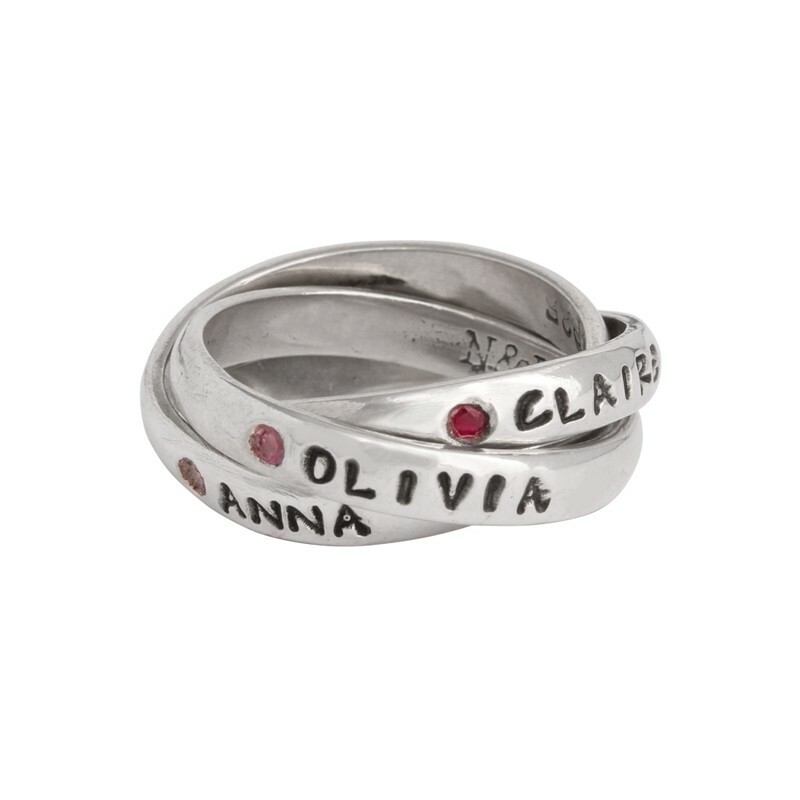 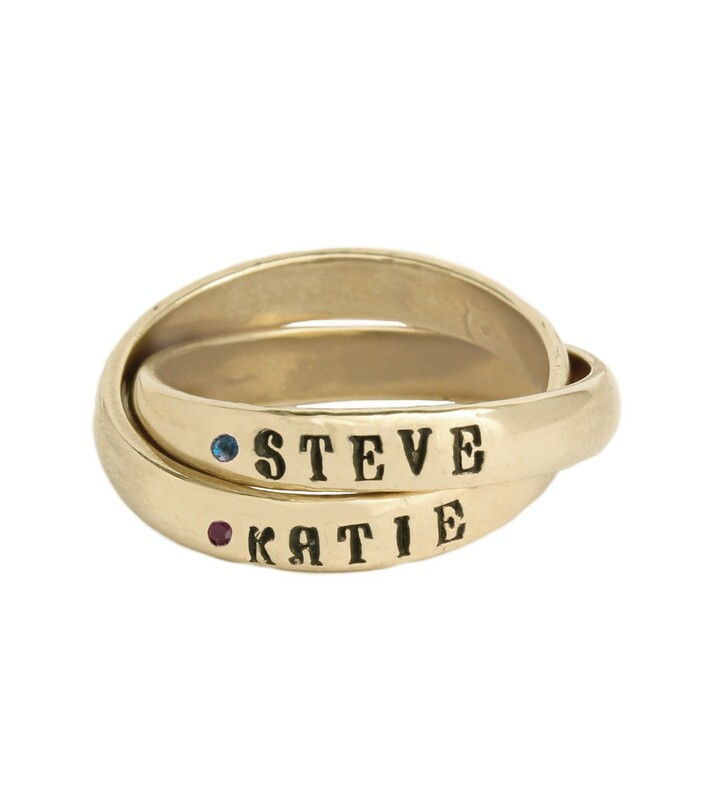 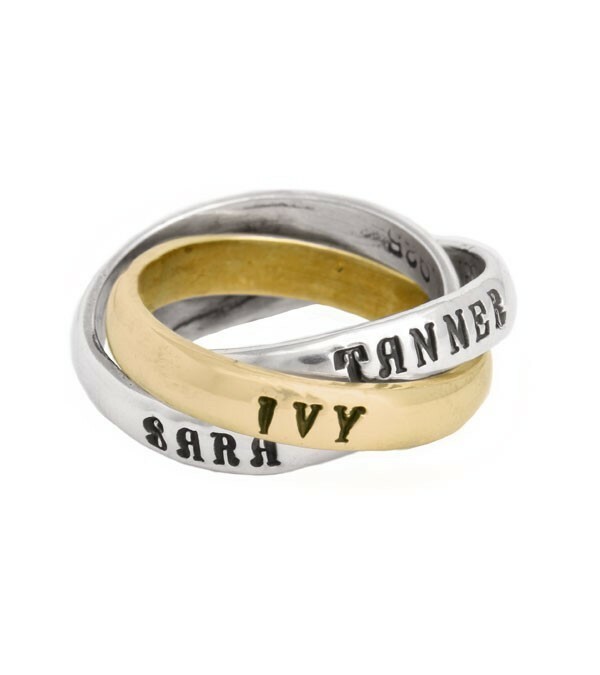 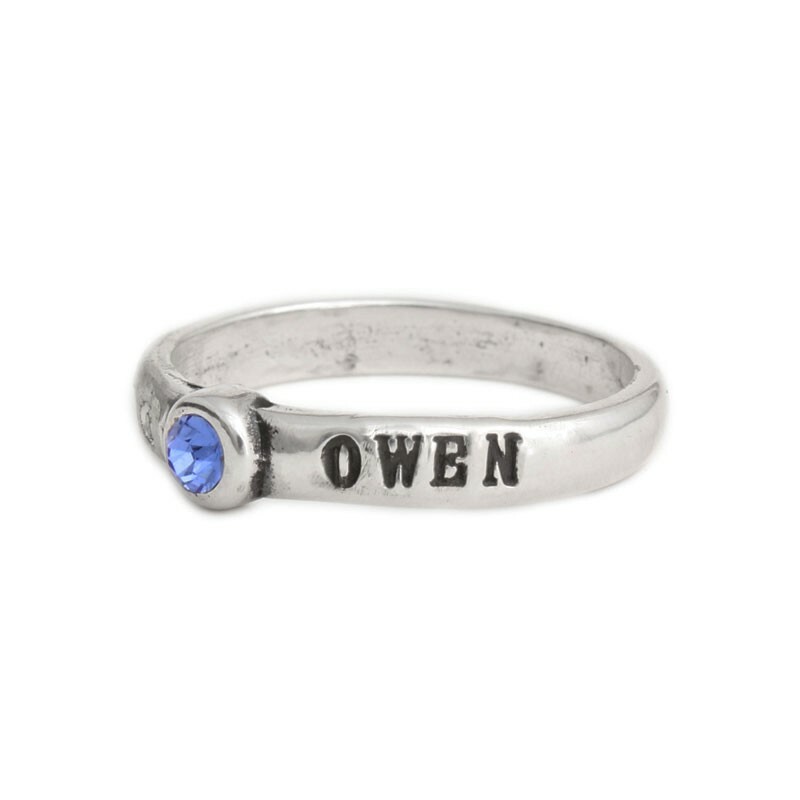 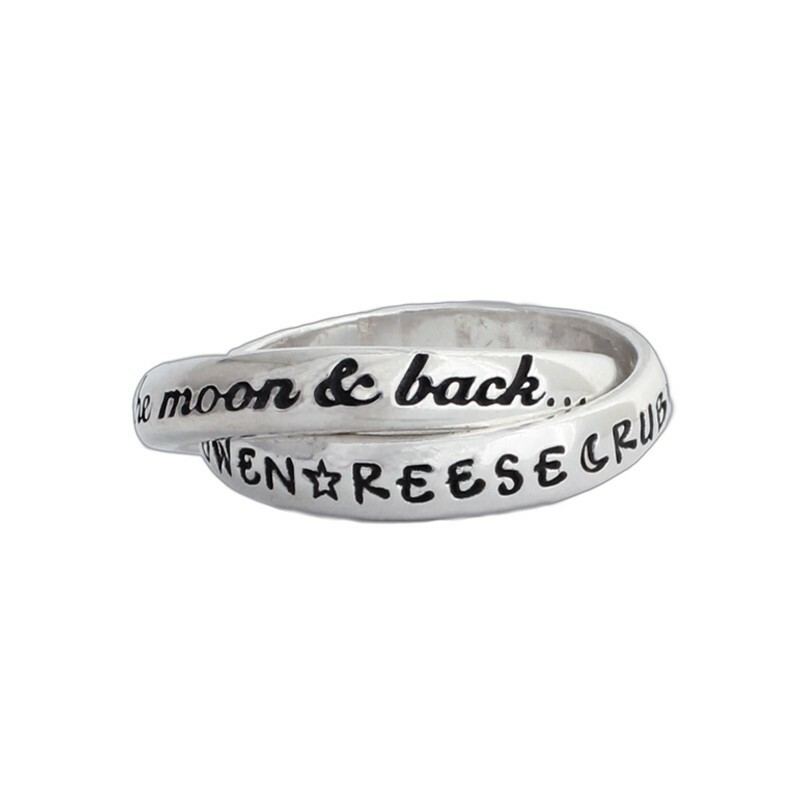 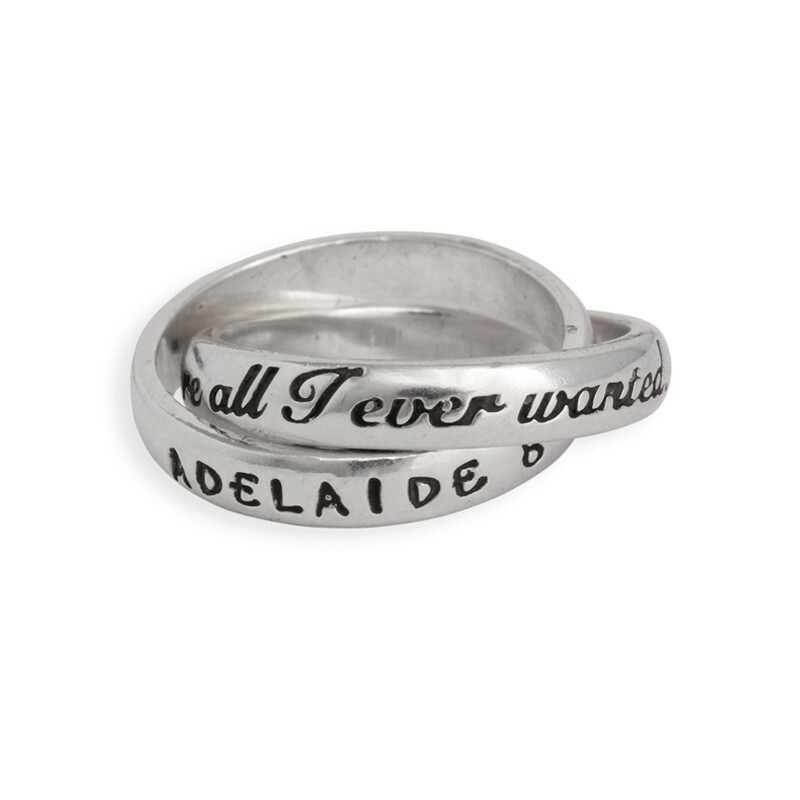 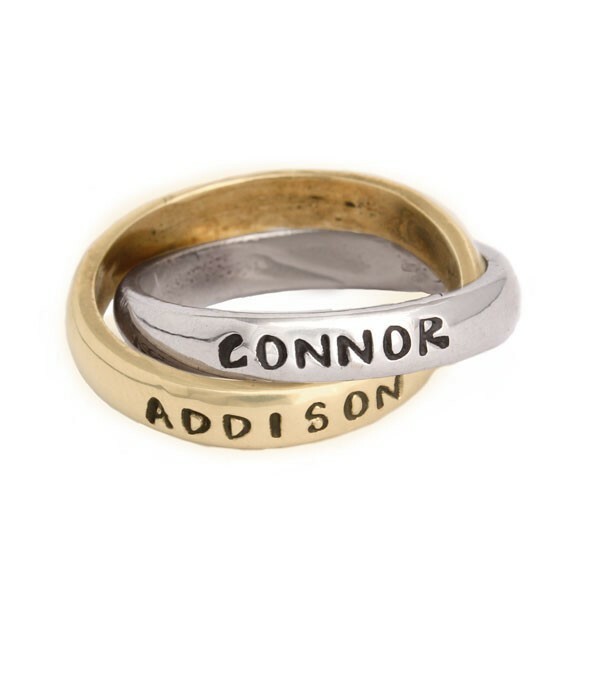 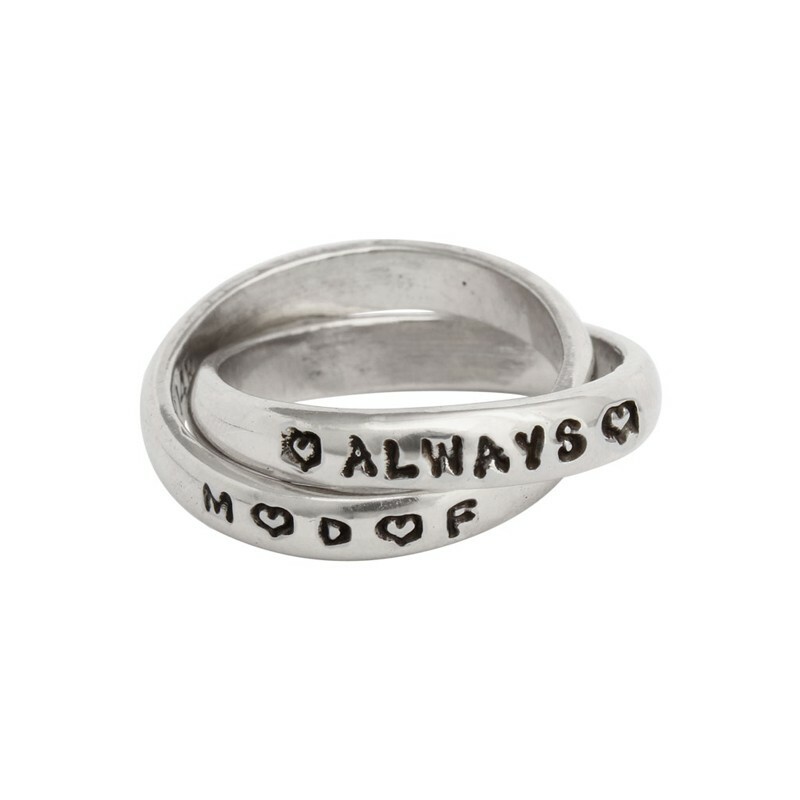 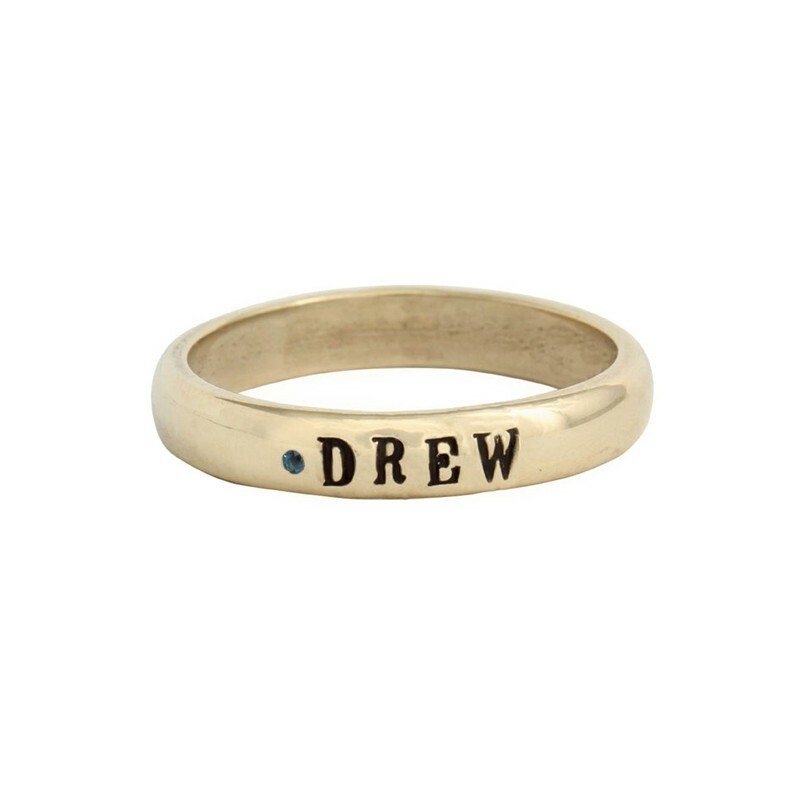 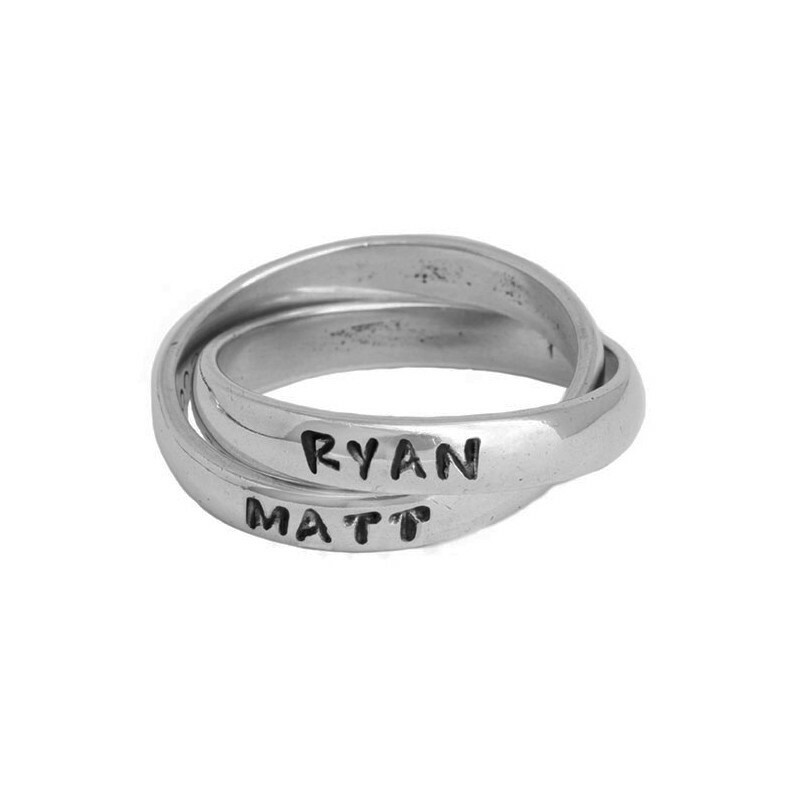 Mother's name rings are our most popular items! 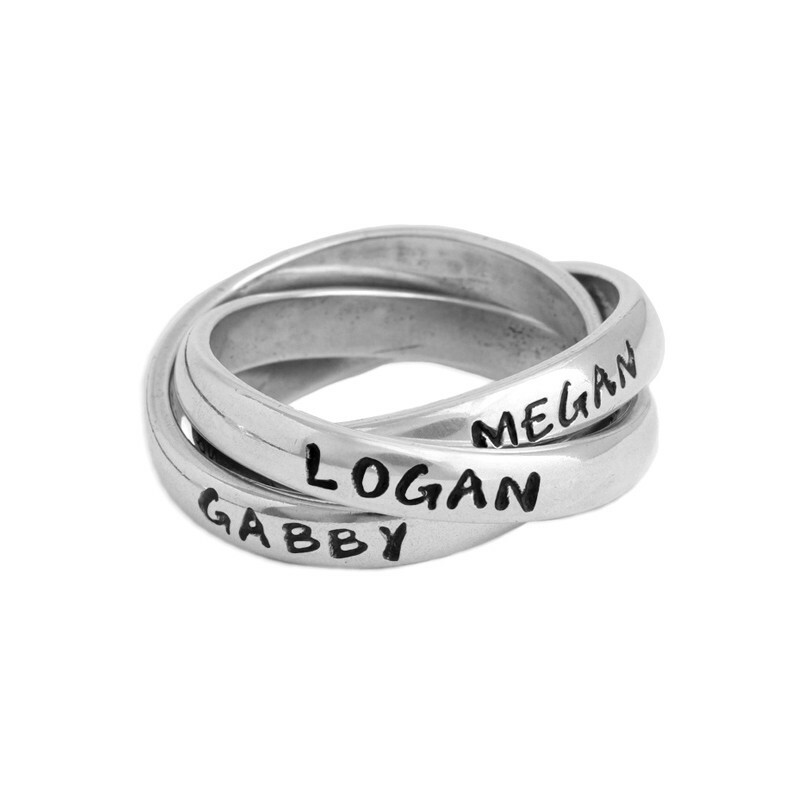 Hand stamped with your children's names, these rolling rings create a unique interlocking band design that symbolizes the bond that will exist forever. 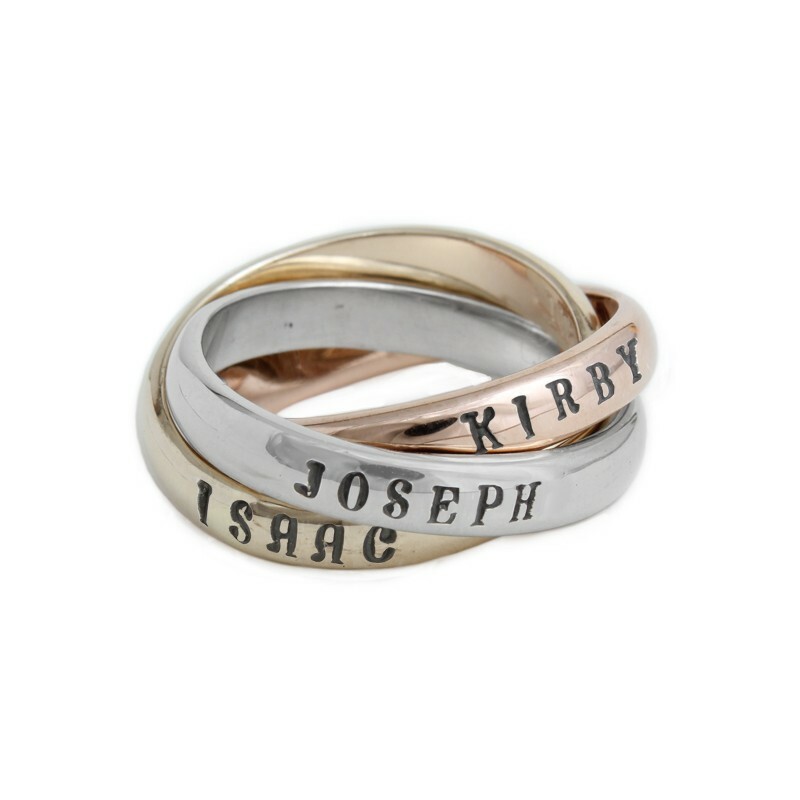 These rings for mom are stackable, unique, and will be heirloom jewelry treasured for generations. 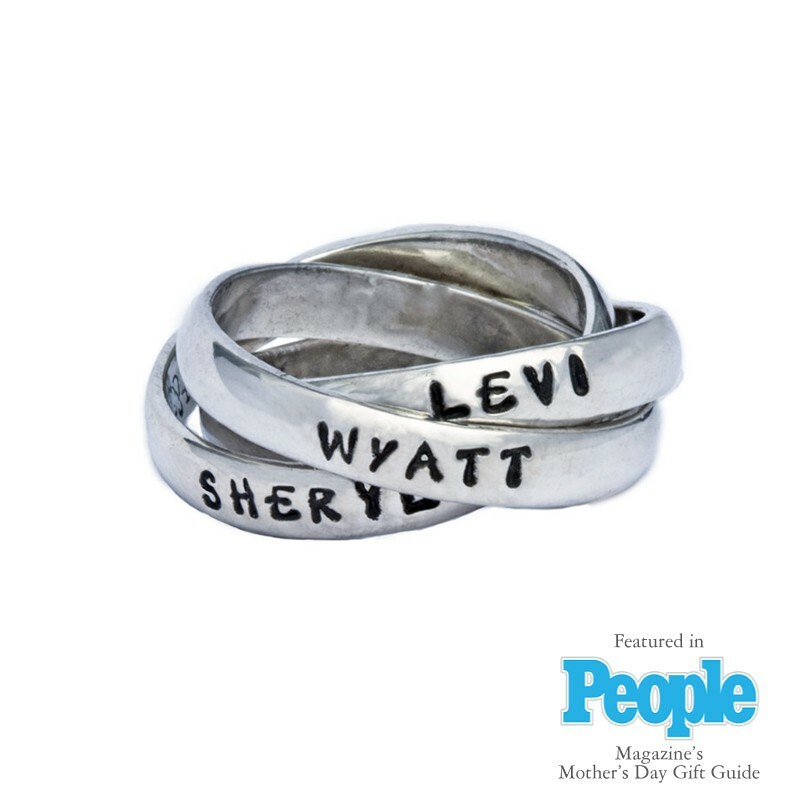 They also make a great Mother's Day gift! 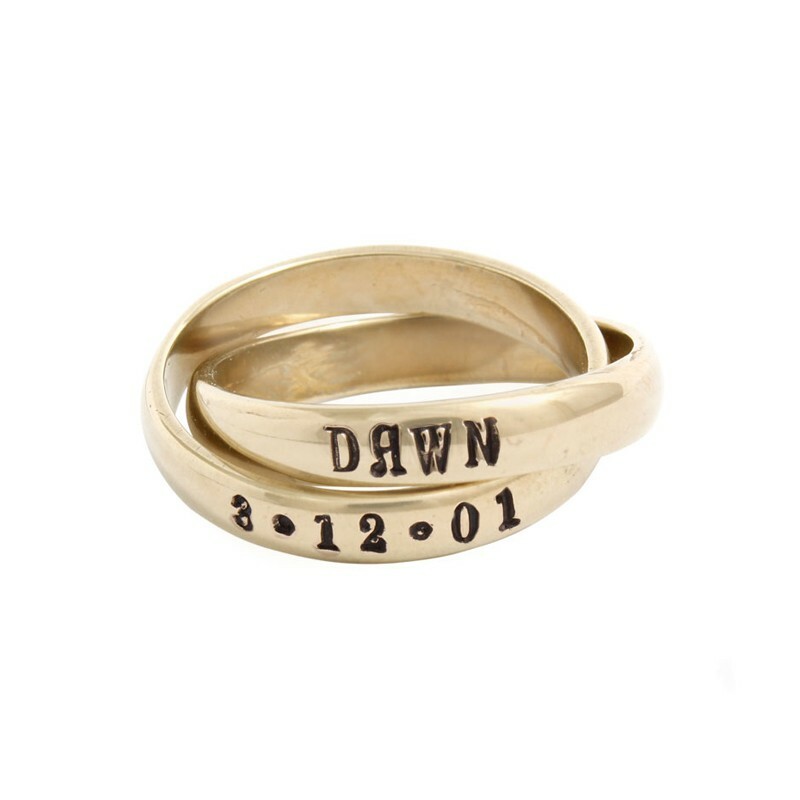 Design your own custom mother's ring from our selection of simple and sophisticated designs.